Wednesdays ride to Wivenhoe was well supported but Fridays ride to Dedham had a poor turnout of 4. Anne, Roy, Claire and myself assisted ~Happy Handlebars which ventured out to Highwoods not to Wivenhoe as advertised, however Anne, Claire and I did the route to The Blackbouy to ensure its standards are being maintained. This Wednesday we will be going to The Musket Club, Friday to Abberton. 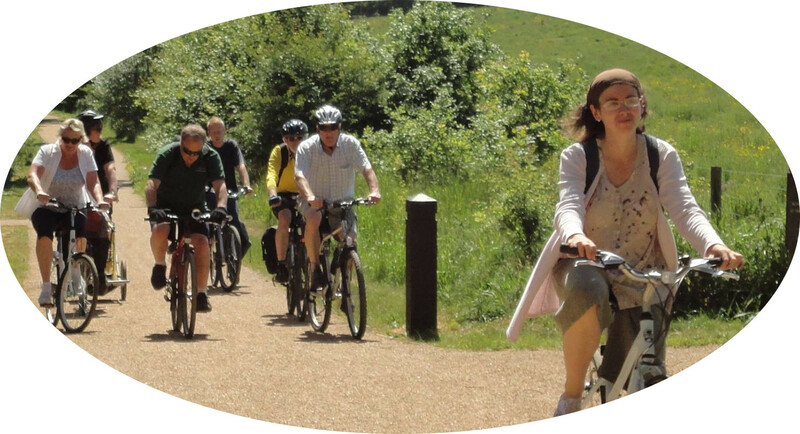 The June Friday day ride to Sudbury is on the 22nd June, watch this space for departure times. Would you please advise in advance if you will attend this ride so arrangements can be made for stops. The group now has four of it’s own bicycles, donated too or by the members, these are located at the container and should meet our needs. We are receiving an increase in publicity and links to this page via other cycling groups this is being reflected by the number of new members, however, Ride Supporters and another Leader are required. If any of you would be interested in taking the Bikeability Stage 3 please let me know. Do the Wednesday riders wish to have a picnic this year, comments please. This entry was posted in Rides on May 28, 2018 by cfprideleader. Wednesdays ride to Fillpots saw two new riders, Ruth and Harry. Fridays ride despite my detour due to road signs being removed since my Monday recky to Marks Hall was a success. This Wednesday we will do the Wivenhoe Trail, I will take the back ti give the supporters a rest. This entry was posted in Rides on May 21, 2018 by cfprideleader. Wednesdays ride to the Roman Circus was a great success, thank you to all who acted in a support roll. Next Wednesday we are going to Filpotts and may well have few more new riders, we are getting a good response to the web site. This entry was posted in Rides on May 10, 2018 by cfprideleader. I hope you all have received my email, please advise me on Mondays if you will be riding on the Wednesday so I can make the necessary arrangements. This Wednesday we will be going to the Roman Circus. Last Friday we diverted to the Hare and Hounds an enjoyable ride, there will be no ride this Friday, however, the following Friday 18th we may venture on our longest ride todate, Hadleigh, providing David is available to guide us. This entry was posted in Rides on May 7, 2018 by cfprideleader. Alan has had a mild stroke, I have heard from him and at present he is incapacitated, I will keep you informed. There will be a Friday ride this week to Abberton but the above will impact on Friday rides. This entry was posted in Rides on May 2, 2018 by cfprideleader.